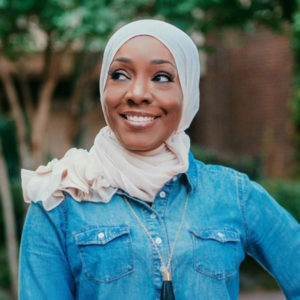 As a designer, there are lots of tricks of the trade I use to make big impact design changes in a living space. 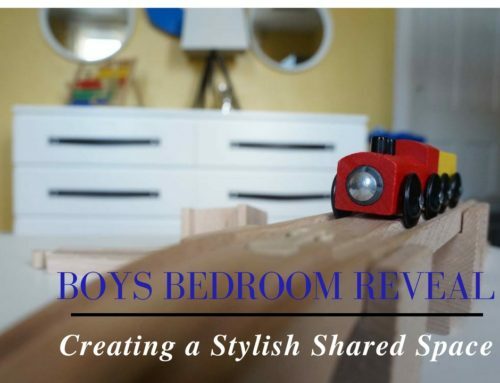 I love to change the look of a room by making small but impactful changes. 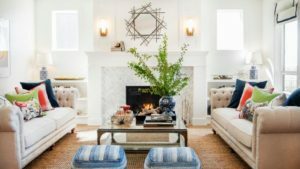 You may be surprised to learn that enhancing your home’s decor is often as easy as switching out an area rug, changing your drapery, adding lighting or updating your throw pillows. 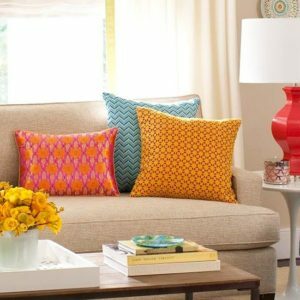 A quick throw pillow update is often the perfect solution to that age old dilemma of how to update your home’s decor without breaking the bank. 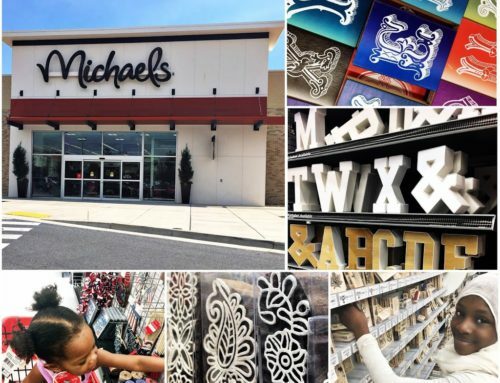 But how does one go about selecting the right pillows? 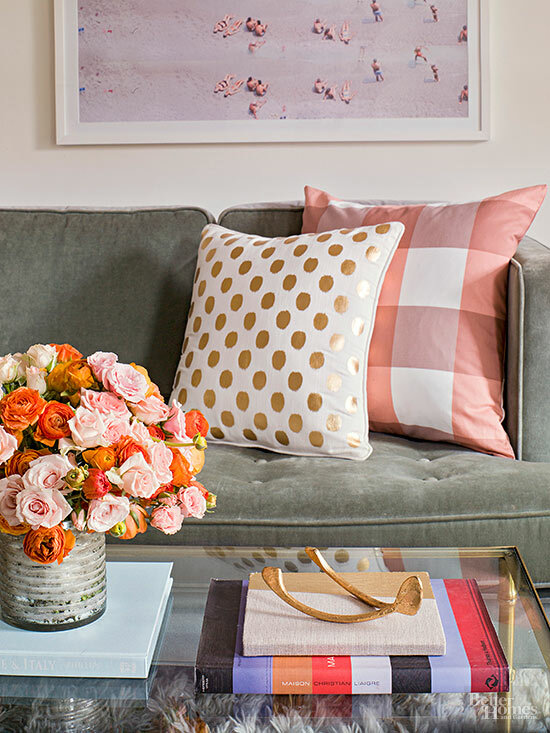 How do you pair patterns together for an unexpected yet chic and complimentary look? Choosing the right mix of pattern and color for your throw pillows can be a delicate balancing act. Today I’ll be sharing a few tips to help demystify perceptions and guide you to making the right choices when mixing printed pillows in your own home. 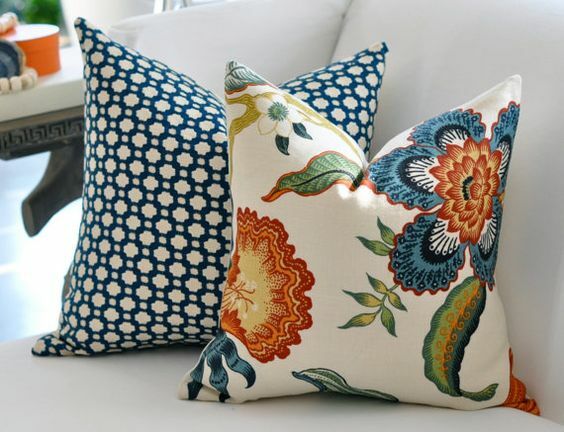 The first step in mixing pillow patterns is to start with a pattern you love. Choose a color from that patterned pillow and add a solid pillow in that same hue. 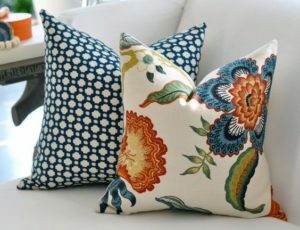 For instance, if the pillow pattern you’ve chosen is a combination of blue, green and orange, you can pair the printed pillow with a solid orange blue or green pillow. 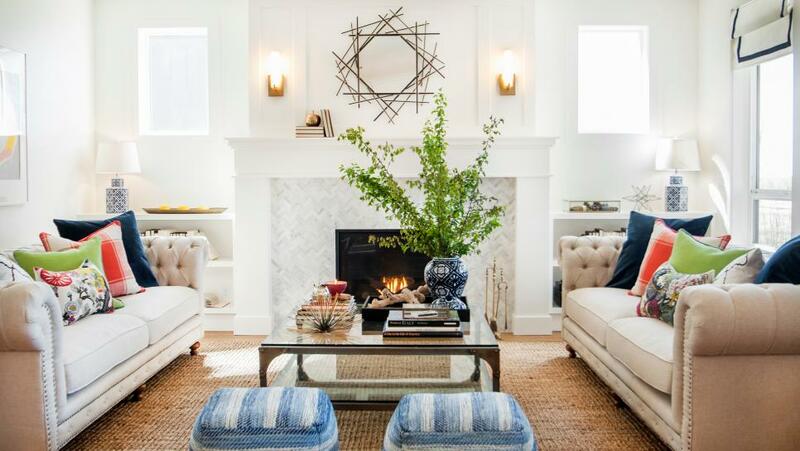 Although you’re mixing patterns the key is to still to create a sense of cohesion. 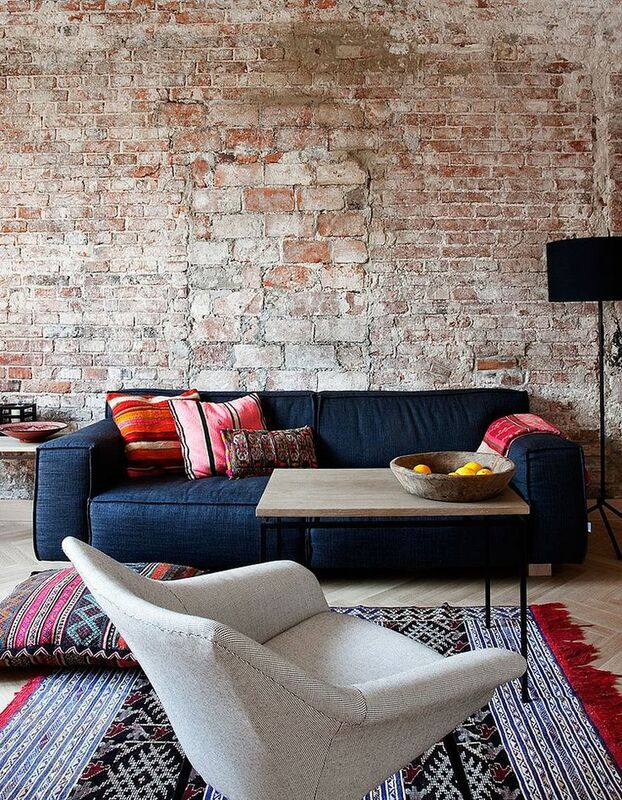 Texture is a a fun and unexpected element that adds depth and interest in any space. 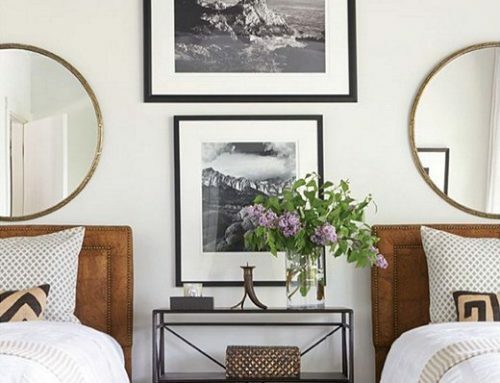 Linen, silk, velvet, leather, and even fur are great ways to incorporate a bit of texture in your pillow combination. 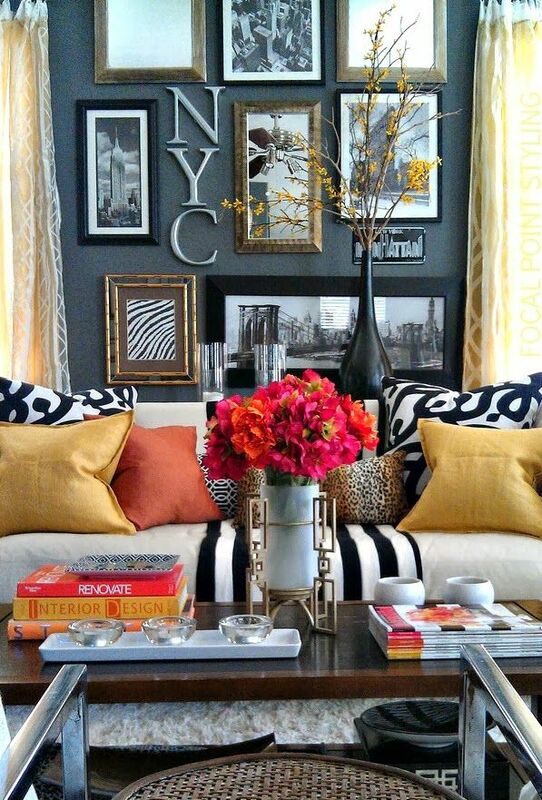 Add a furry pillow to a pair of pillows, as seen below, for an eye catching and stylish look. Be careful not to overdo it. I like to cluster no more than 2 or 3 pillows at the end of a sofa. An odd number of pillows gives a more casual look while 2 pillows or an even number of pillows tends to feel more formal. 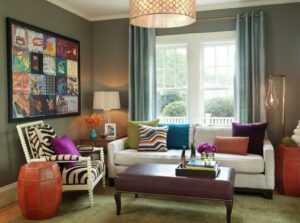 Keeping the pillow count at no more than 3 still gives you desired color and interest in the space with out compromising comfort. 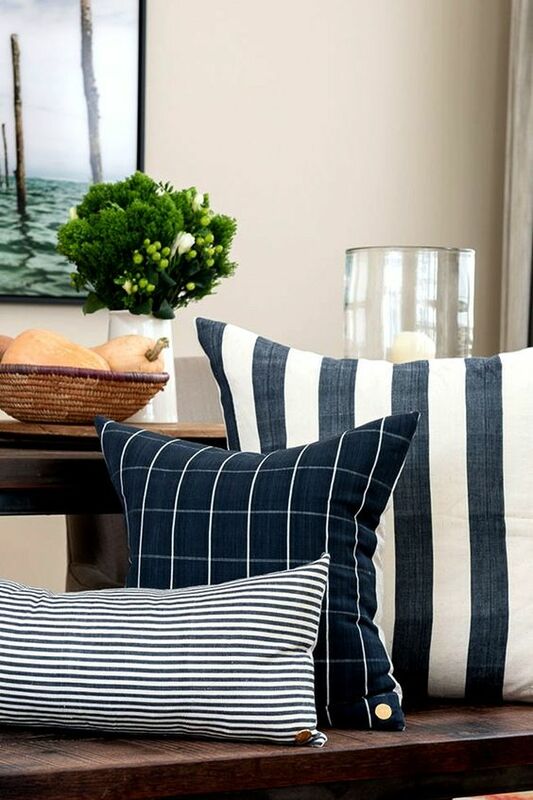 The last thing you want is guests having to place your lovely pillows on the floor in order to sit on the sofa. 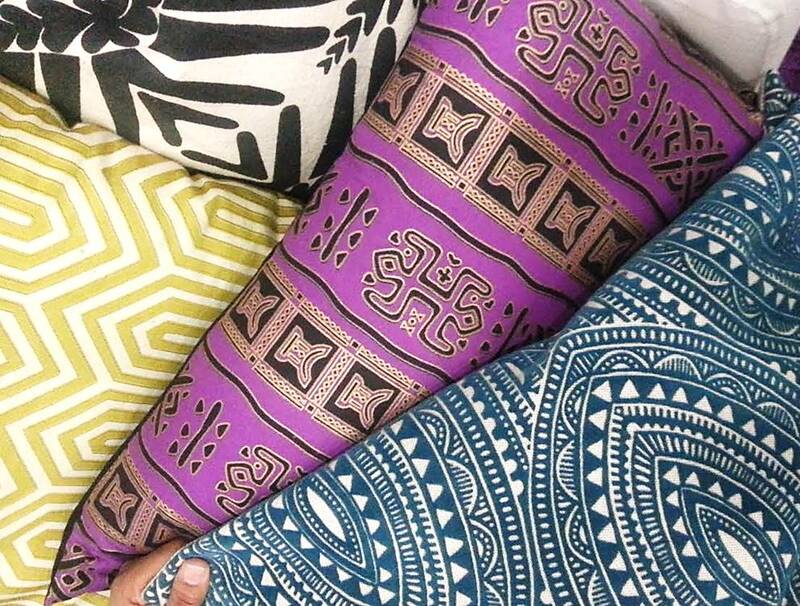 The scale of the pattern on the pillow along with the actual size of the pillow are also important to consider. 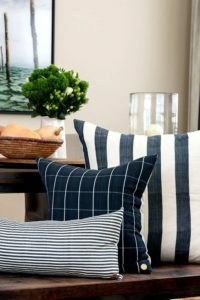 Using varying size pillows allows each pillow to stand out on its own (it’s own moment in the spotlight) and further enhances the look of the space. 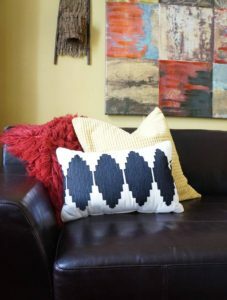 So are you ready to experiment with mixing pillows? 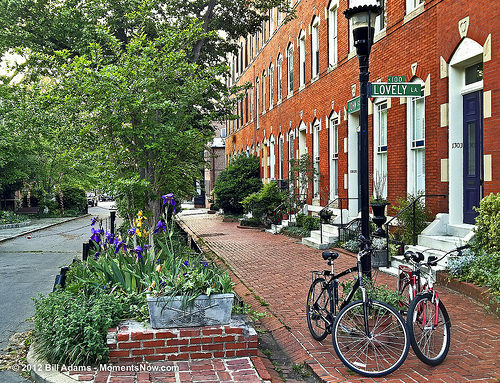 Put these handy tips to the test and let me know how your home’s new look turns out.